Today only at Home Depot save up to 35% off Select Pots and Planters! Perfect for getting your yard and patio ready for spring! Shipping is FREE! I am loving this Bloem 21 in. 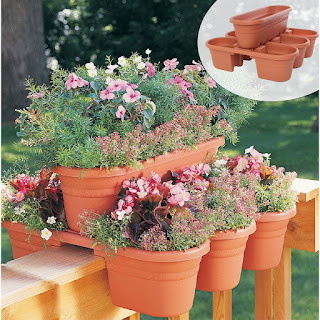 4-Piece Terra Cotta Plastic Milano Rail/Modular Planter now just $20 (Reg. $34.99)!